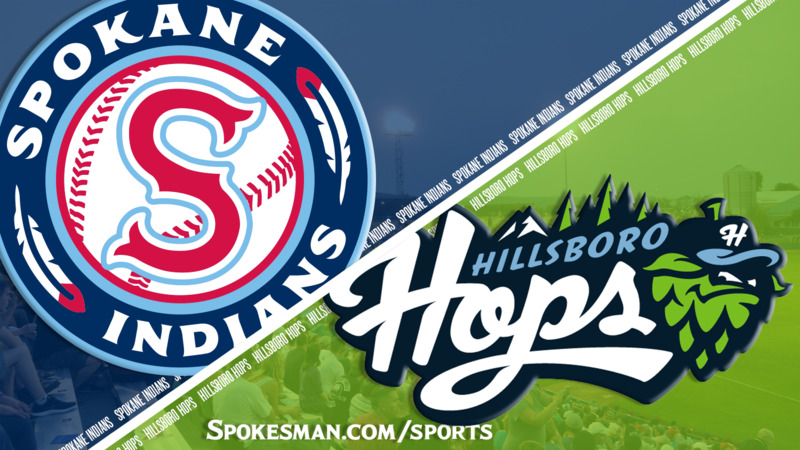 HILLSBORO, Oregon – The Hillsboro Hops built an early four-run lead and three pitchers combined to limit the Spokane Indians to one run as the Hops defeated the Indians 5-1 in a Northwest League baseball game on Friday night. The Hops (9-6) opened the game with a first-inning run and added three more in the second. Dan Swain, a 34th-round draft pick out of Sienna, did much of the damage for Hillsboro. He delivered a run-scoring double in the second inning, scored a run in the third and singled in another run in the fifth to complete the night’s scoring. Swain has hit safely in all but one game he’s played and is batting .385 with seven RBIs. Julio Pablo Martinez homered in the fourth inning for Spokane (6-9). Hillsboro starter Jackson Goddard pitched one inning. The third-round pick out of Kansas has been limited to one inning in each of his appearances. Bryan Valdez took over in the second inning and went 6 1/3, allowing the one run on six hits with six strikeouts. Indians starter Tai Tiedemann (0-2) took the loss, allowing four runs in 3 1/3 innings. Published: June 29, 2018, 10:26 p.m.